Tuesday, 10 May 2016 marked the start of a new journey for the Northern Sydney health sector with the launch of HealthPathways, a joint-initiative between the Sydney North Health Network and the Northern Sydney Local Health District. At its simplest, HealthPathways is a web-based clinical ‘filing cabinet’ that allows GPs to assess and manage patient conditions with greater efficiency and integration of care. But, at its core, HealthPathways is much more sophisticated. As guests that attended the launch of HealthPathways soon discovered, its true strength lies in its ability to build relationships between hospitals, community, management and funders, leading to better health outcomes. HealthPathways will integrate the primary healthcare and secondary healthcare systems, so that they work together and enable collective decision making by clinicians across these systems. This will enable more people, living in Sydney’s north, to get the right care, in the right place, at the right time. A key tenant of Sydney North Health Network’s strategy is Service Transformation. HealthPathways is one of the ways in which service transformation will start to occur, by highlighting opportunities for improvement and system redesign. Enhances current work force capacity through better use of primary care resources including practice nurses, allied health providers and non-government organisations. Dr Graeme McGeoch is the Clinical Lead of HealthPathways Canterbury (New Zealand), the first HealthPathways built between 2008 and 2011. Since then 28 organisations have joined the HealthPathways Community mainly throughout Australia and New Zealand, building their own local version of HealthPathways to meet local conditions and health population needs. The HealthPathways Community is a collaborative of all organisations implementing HealthPathways with all members having access to a common platform provided by Streamliners, a technical writing and publishing organisation. This common platform enables efficient sharing of pathways between members and cost efficiencies in technical writing, publishing and system administration. The system relies on the design and implementation of a clinical pathway, for over 550 conditions. Each pathway is designed and agreed to by a ‘subject matter expert’ together with a working group of Hospital Specialists, GPs and other appropriate health stakeholders. Once the pathway is designed, implementation follows with the pathway made ‘live’ on the website allowing all local clinicians the ability to easily access patient assessment, management and referral information. The Sydney North HealthPathways journey has just begun. Dr Fiona Robinson, Clinical Lead for Sydney North HealthPathways will be working with her team of GP Editors, local service providers and the Northern Sydney Local Health District in the development of local pathways. 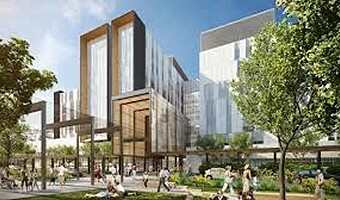 A Northern Beaches Hospital update was recently held to provide GPs and interested health professionals with the opportunity to learn more about the hospital which is due for completion in 2018. The new Northern Beaches Hospital will feature a GP Clinic next to the new emergency department providing an option for people who need urgent care, but who don’t necessarily need to be treated in an emergency department. The private hospital provider, Healthscope recognises the importance of bridging the gap between the hospital environment and community based care. There will also be options for care in the home and in the community. The hospital will be 9 stories high and include a helipad.